During the 2013 Hall of Fame, FIASI hosted a sports memorabilia auction to raise money for the Sloan-Kettering Cancer Center. Below find a letter of thanks received from the center. View photos from the recent Hall of Fame reception by clicking the image below. Missed the 2013 FIASI Hall of Fame ceremony and dinner? Interested to hear from the awardees or see who was there? Watch the video below. 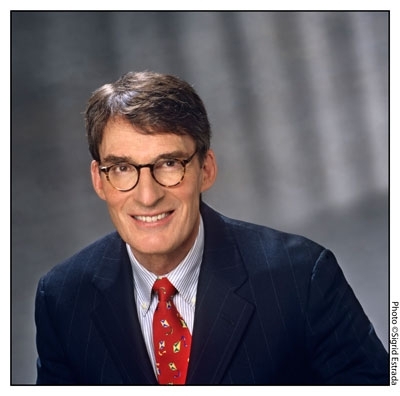 James Grant, financial journalist and historian, is the founder and editor of Grant’s Interest Rate Observer, a twice-monthly journal of the investment markets. His new book, The Forgotten Depression, 1921: the Crash that Cured Itself, a history of America’s last governmentally unmedicated business-cycle downturn, is published in November by Simon & Schuster. Among his other books on finance and financial history are Bernard M. Baruch: The Adventures of a Wall Street Legend (Simon & Schuster, 1983), Money of the Mind (Farrar, Straus & Giroux, 1992), Minding Mr. Market (Farrar, Straus, 1993), The Trouble with Prosperity (Times Books, 1996), and Mr. Market Miscalculates (Axios Press, 2008). He is, in addition, the author of a pair of political biographies: John Adams: Party of One, a life of the second president of the United States (Farrar, Straus, 2005) and Mr. Speaker! The Life and Times of Thomas B. Reed, the Man Who Broke the Filibuster (Simon & Schuster, 2011). Mr. Grant’s television appearances include “60 Minutes,” “The Charlie Rose Show,” “CBS Evening News,” and a 10-year stint on “Wall Street Week”. His journalism has appeared in a variety of periodicals, including the Financial Times, The Wall Street Journal and Foreign Affair. He contributed an essay to the Sixth Edition of Graham and Dodd's Security Analysis (McGraw-Hill, 2009). Mr. Grant, a former Navy gunner's mate, is a Phi Beta Kappa alumnus of Indiana University. He earned a master's degree in international relations from Columbia University and began his career in journalism in 1972, at the Baltimore Sun. He joined the staff of Barron’s in 1975 where he originated the “Current Yield” column. He is a trustee of the New York Historical Society. He and his wife, Patricia Kavanagh M.D., live in Brooklyn. They are the parents of four grown children. Rick Rieder, Managing Director, is BlackRock’s Chief Investment Officer of Fundamental Fixed Income, Co-head of Americas Fixed Income and a member of the Executive Committee of the firm-wide Alpha Strategy business. He is also a member of BlackRock’s firm-wide Operating, Leadership, and Philanthropy Committees. Before joining BlackRock in 2009, Mr. Rieder was President and Chief Executive Officer of R3 Capital Partners. He served as Vice Chairman and member of the Borrowing Committee for the U.S. Treasury. Mr. Rieder is currently a member of the Federal Reserve Bank of New York’s Investment Advisory Committee on Financial Markets, and was recently elected as the 2013 inductee into the Fixed Income Analysts Society Fixed Income Hall of Fame. From 1987 to 2008, Mr. Rieder was with Lehman Brothers, most recently as head of the firm’s Global Principal Strategies team, a global proprietary investment platform. He was also global head of the firm’s credit businesses, Chairman of the Corporate Bond and Loan Capital Commitment Committee, and a member of the Board of Trustees for the corporate pension fund. Before joining Lehman Brothers, Mr. Rieder was a credit analyst at SunTrust Banks in Atlanta. 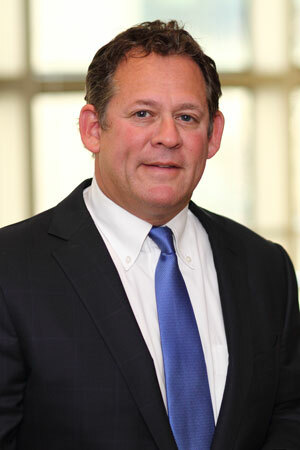 Mr. Rieder earned a BBA degree in Finance from Emory University in 1983 and an MBA degree from The Wharton School of the University of Pennsylvania in 1987. He is a member of the board of Emory University, Emory’s Business School, and the University’s Investment Committee and is the Vice Chairman of the Finance Committee, and founder and chairman of the business school’s BBA investment fund. Mr. Rieder serves as Chairman of the Board of North Star Academy’s nine Charter Schools in Newark, New Jersey and is the Founder and Chairman of the Board of Graduation Generation Public School Collaboration in Atlanta. He is a Trustee for the US Olympic Committee, and on the board of advisors for the Hospital for Special Surgery. He serves on the National Leaderhip Council of the Communities in Schools Educational Foundation and the boards of Big Brothers/Big Sisters of Newark and Essex County and the Newark Youth Foundation.